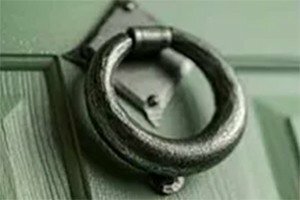 Let’s start by assuming you are here because you are looking for a new front door, then hopefully this article can give you a few things to consider. 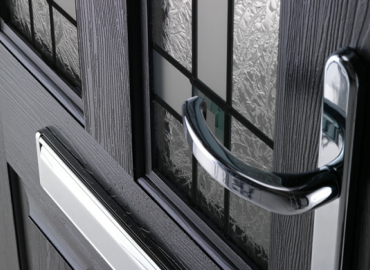 1) Why choose uPVC for your door? Unplasticised poly vinyl chloride, or UPVC (PVCu) is almost the perfect material for home improvements of this kind. It is extremely long lasting. It’s a naturally insulating material. It’s virtually inert. Which means air pollution, acid rain and such like, doesn’t affect it. It’s lightweight – so your door does not “weigh a ton”. You don’t need to paint it. It’s readily available and low cost. A front door needs to be secure. Modern UPVC front doors are hung on galvanised metal reinforced frames for strength and rigidity. The door itself has locking mechanisms that engage at multiple points around the frame (up to 9). Added to that you have a 3 or 5 lever mortice locking handle. Typically, the door has 3 or 4 pinless stainless steel hinges – keeping the door square to the frame at the same time as preventing intruders accessing your home by attacking the hinges. On occasion, the emergency services have had extreme difficulty in trying to open the doors without a key, even with the use of heavy brute force. 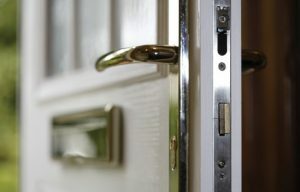 Getting a “Secured by Design” (www.securedbydesign.com) product also means that the door design is approved by the Association of Chief Police Officers for its’ security features. When you consider all the permutations of design choice available it must be hundreds. Glazed, part glazed, non-glazed etc. 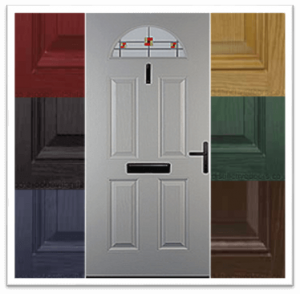 One supplier I know of has a listing of 22 standard UPVC front door design variations (that is just for a basic white front door style), and then has up to 20 versions of each design. So when you set out to buy a UPVC Front Door there is plenty of choice. There are also more rustic designs available such as Cottage or Stable Doors. On top of the standard range, you also have companies that supply & fit bespoke designs – specially made to order. So you can really stand out from the crowd. If you have a wider opening, then you can easily have side or top panels added to take up the extra space (as shown in the image above). With glazed panels, if you choose to have them, there is clear, opaque, patterned, leaded and more. It’s not unusual for a supplier to have 12 to 14 different colours readily available, but you could find about 20 in the full range. These will usually be “foiled colours”. You can find a wider range of colours if you prefer by using spray painted UPVC doors. I would do a lot of research on the provider in this instance, as spray paints can peel and go bad quickly if not applied properly. Over and above the choice of colour, you can select a timber-grain surface finish. The foil colour carries a textured effect designed to mimic the appearance of real wood. 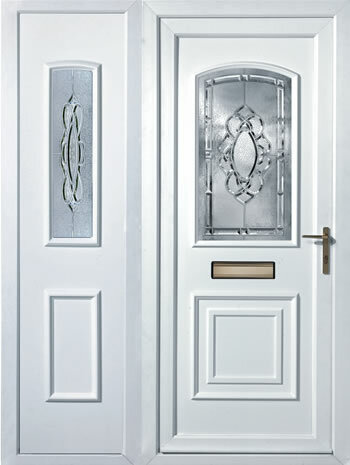 There is no doubt that UPVC front doors have maintained their popularity due to the value for money that they offer. High security, with long lifespan & energy efficiency at a relatively low price. 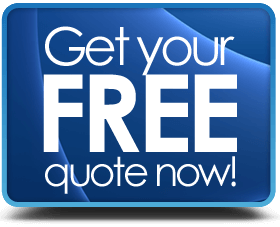 Less costly than you may think. 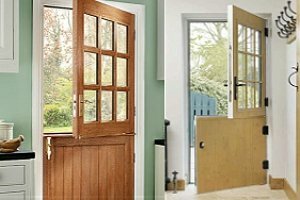 If you can fit the door yourself, then you can find supply only uPVC front doors from around £450.